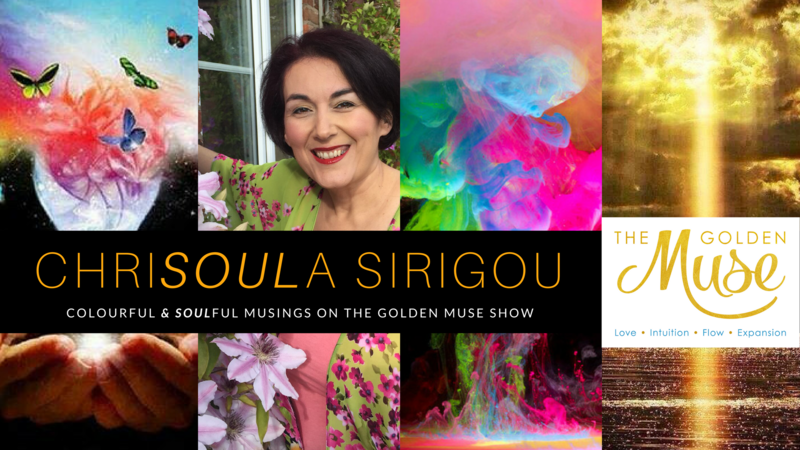 You are invited to Special STRESS AWARENESS MONTH Panel Shows hosted by award-winning author of The Book of Soulful Musings, broadcaster and colour psychologist, ChriSOULa Sirigou, on her GoldenMuse TV. ChriSOULa brings together again this year an amazing Panel of Holistic Health and Wellbeing educators, mindset coaches and authors to help create more awareness and clarity. What creates stress - is stress always bad for us? This show is dedicated to all of you LIFE explorers (parents, teachers, entrepreneurs, evolutionary coaches, social workers, carers) who are curious and serious to embrace a stress free life at home, at work, in your community, and at the same time, say YES! to a more mindful, conscious and joyous living. The show is recorded and then uploaded on ChriSOULa's YouTube Channel. Why don't you Subscribe here for free and watch LIFE Inspiring conversations, 1-1 interviews and panel shows at your own pace and time. Once notification arrives, you’ll be sent the Zoom link to connect with us LIVE on the call. Remember to be camera ready!! Invite your friends to join us. SHARE this post / link on your wall. COMMENT how stress affects your health at the moment e.g. muscle ache, migraine, sleep disorder, anxiety, weight gain, stomach ache, … and I’ll ensure we will cover, if not all, the majority of these areas on the show. SPECIAL BONUS OFFER JUST FOR YOU! During the month of April, The Book of Soulful Musings, this wonderful, colourful, award-winning book, described as "a holistic self care toolbox", enriched with tips about mindfulness and stress release modalities, is offered at a special bonus price of £12.75 (RRP £16.99) during the month of April in support of Stress Awareness Month. Terms and Conditions apply. Alternative payment can be made by BACS. To your health and joy. She teaches the language and psychology of Colour through Colour Mirrors practitioners training programmes for coaches and evolutionary teachers in the UK, Greece and The Netherlands, a colour system that teaches spiritual self-empowerment. As a colour psychologist speciailising in emotional wellbeing for parents and children, ChriSOULa has also set up colour therapy for kids courses. She is the award-winning author of “The Book of Soulful Musings” BOOK 1 Inspiring Conversations to live LIFE with Love Intention Flow Ease (Golden Muse Publishing, 2018). Her intention is to inspire you LIFE-Curious people - LIFE Explorers - to expand in abundance, love and success.